Home Tags Posts tagged with "glasgow 2014"
Kylie Minogue will perform at the closing ceremony of this year’s Glasgow Commonwealth Games. The Hampden finale will begin at 21.00 on Sunday, less than 24 hours after the end of track and field events. Kylie Minogue will perform alongside Lulu, Deacon Blue and Dougie MacLean. More than 2,000 volunteer performers will also take part in the ceremony, organizers confirmed. They promised to bring the curtain down on an “amazing games” with “a night out not to be missed”. Hampden Stadium will be transformed with more than 160 tonnes of staging, 3,000 props and 454 flags. About 40,000 people are expected to attend the ceremony. Kylie Minogue’s performance will represent the Games’ transfer to her native Australia in 2018. The opening ceremony – featuring Tartan-clad performers, oversized Tunnock’s tea cakes, a giant kilt and Scottie dogs – was widely praised for its energy and humor. 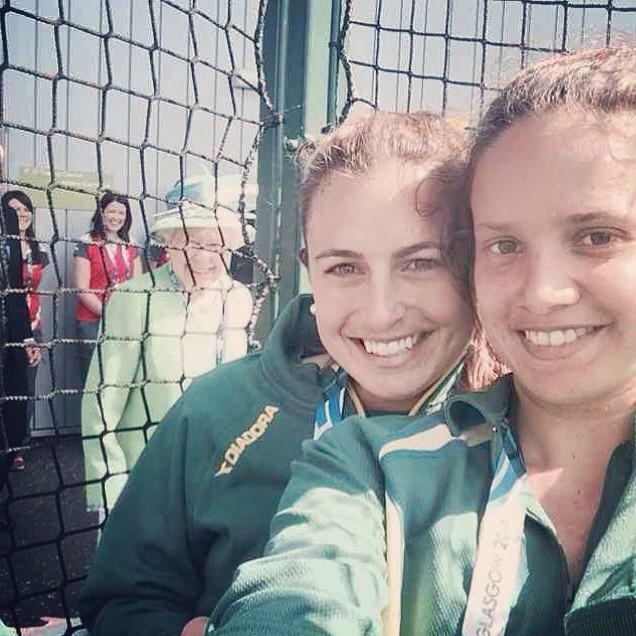 Queen Elizabeth II popped up in the background as two Australian Commonwealth Games hockey players were posing for a selfie. That led to a series of other postings on social networks with England’s European and Commonwealth 110m hurdles champion Andy Turner, 33, and another Australia hockey player, Anna Flanagan, 22, uploading similar images.